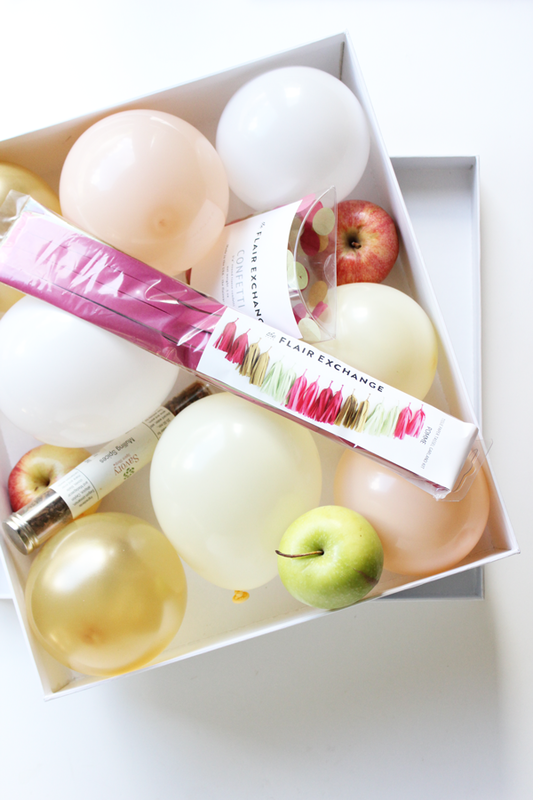 In celebration of the start of fall, we’re mailing out an apple pie inspired box to our bestie! Putting together a themed party box is super easy and can be customized according to a milestone, holiday or color-way. Since the first day of fall is tomorrow ( yikes! where did the summer go? 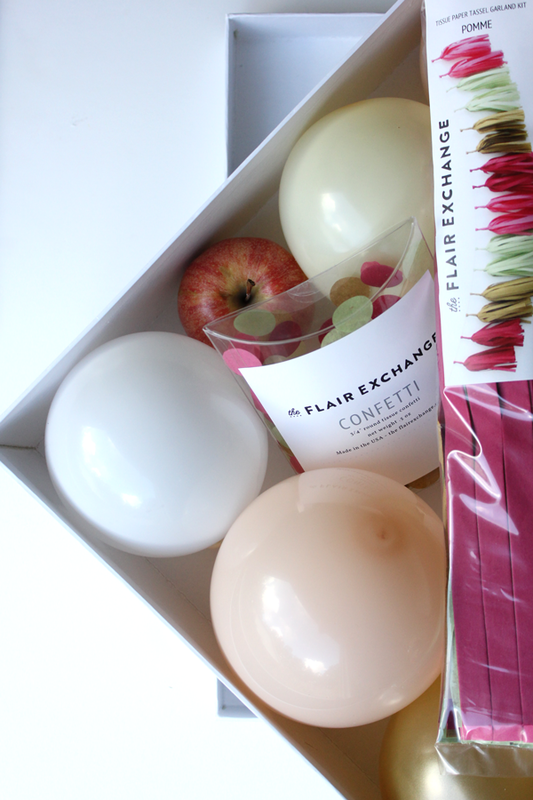 ), we wanted to put together a box that contained all of our apple inspired favorites. 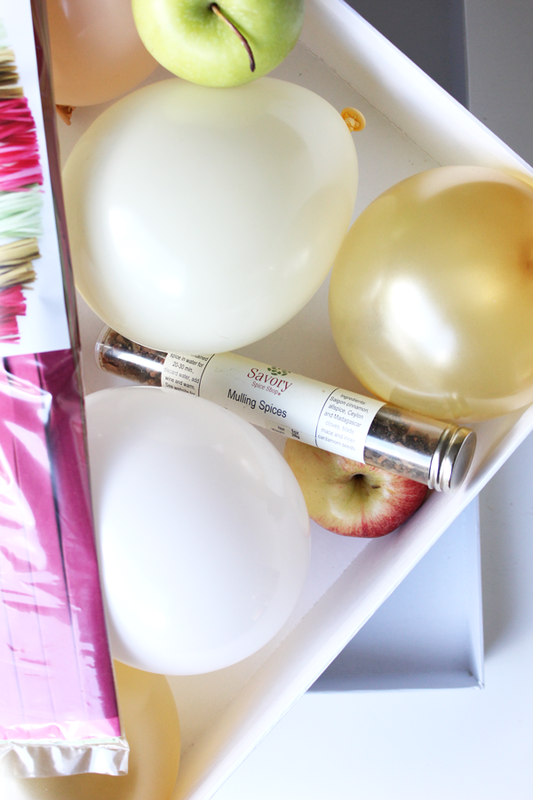 We inflated some golden mini balloons to fill up the box, they’re way cuter than packing paper or packing popcorn. Next we added the season’s freshest apples, both gala and granny. We included our Pomme garland + a pack of matching confetti; if our bestie is going to throw a little fall soiree, she’ll definitely need a few pieces of party decor to pull off a gorgeous look. To top off the party box, we included mulling spice for some yummy mulled cider or wine! Pop this in the mail and your gal pal will be entertaining in style this fall! The post Apple Pie Party In A Box appeared first on The Flair Exchange®.